Clogged Drains Are A Hassle. Let Our Plumbing Team Do The Dirty Work. Robins Plumbing specializes in commercial and residential drain cleaning throughout the Phoenix area. Whether your toilet or shower is clogged, or your kitchen sink isn’t draining water like it used to, our team of experienced plumbers can remedy the issue quickly and efficiently. Schedule your service today, or call us for a free estimate. Robins Plumbing, Inc. is a full service plumber in Phoenix, with technician dispatch offices in Glendale and Mesa. Clogged sinks and bathtubs are such a common issue, you can count on us to handle your Phoenix drain cleaning or to clean up your drains anywhere in the valley with quick, affordable and reliable service. When you have a backed up drain, don’t let it ruin your day, schedule with our office for a timely appointment and we will take care of it right away. 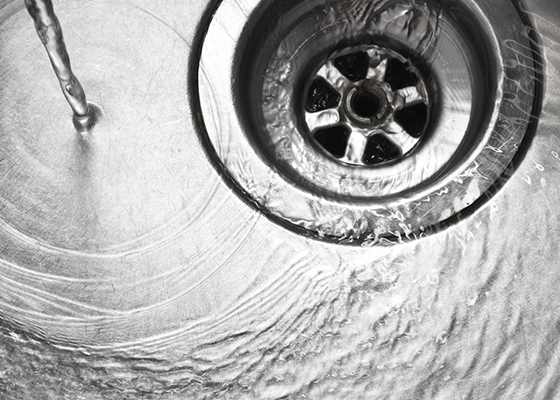 We can clear any drain problem you may have so if you’re experiencing a kitchen sink backed up, a bathroom sink backed up, a toilet backed up, a shower backed up, a tub backed up or your main line backed up – we are the plumber you can trust to take care of your drain clean. The clogged drains in Phoenix that we are typically called out to unclog and clean are due to many reasons. Over time is natural is for there to be some build up in the drains and pipes throughout your home. Your drain passes through food particles, fat that runs through the drain as a liquid and soap that soaks into all the gunk and lays on the pipes walls. This is just some of what is being ran through the clogged sink drain in your home, we haven’t even mentioned the hair and other mess that your bathroom drains get to deal with. The build up in the clogged sinks, tubs and showers is common and it’s always recommended that you frequently clean your drains to prevent more serious drain clogging or even drain stoppages. Regular cleaning of the drains in your home can be accomplished with distilled white vinegar and other DIY mixes. Here at Robins Plumbing, Inc. and most likely any other plumbing company for that matter, we strongly advise against using chemical cleaners. You can read more about Chemical Drain Cleaners wreaking havoc on your pipes here. Regardless of what you may hear, drain stoppages are not a normal occurrence, read our blog post on drain stoppages to learn more about what it may mean if your experiencing frequent drain stoppages and clogged drains. Clearing a clogged drain is usually a pretty quick, affordable and easy process. Pricing will usually depend on how thick or serious of a clog there is. In most cases our plumbers typically are able to unclog everything by using a snake to clean the drain. Our prices may vary based on the drain location as there can be a big difference in accessibility when comparing clogged kitchen drains and clogged bathroom drains to say a backed up laundry drain. A serious clogged drain in need of cleaning may not always be solved by using a snake on the drain. At times we need to clear the buildup with a high pressure water jet to remove the stoppage and grease. It’s important that your plumber discusses your options and properly diagnosis the severity of the clog to determine the most effective and lasting fix for your drain. If more than one drain line is clogged, this usually points to a stoppage in your main sewer line. A task that is a little more time consuming and can become interesting on older homes. With main line stoppages we can use our state of the art sewer line camera inspection to locate the exact location of the stoppage to determine the best route for repair. Once we have cleaned your drain it’s going to be important to take some steps to prevent the drain from getting backed up again. Don’t pour any fats, oils or grease down the drain. When these are sent down the drain in a hot liquid form they cool and stick to the pipes closing the access for water and will eventually cause another clog. We recommend using a drain screen in tubs and showers to catch the hair and other material that may make it’s way down the drain during use. Our plumbers will always answer questions and discuss more ideas to prevent needing us to come out again to clear your clogged drains. Robins Plumbing, Inc. is available trusted by many in the valley 24/7. We’ve helped thousands with their plumbing needs and drain cleaning in Phoenix. We have great reviews because of the pride we take in our work and our honest approach to business. If you are looking for a plumber to come out and help you with a clogged drain, give us a call today at 623-486-4657. We have convenient tech dispatch offices throughout Maricopa county for quick service valley wide. At Robins Plumbing, Inc, our number one goal is to be the local plumbing company you can trust. We opened our doors in 2004, serving both residential and commercial plumbing clients across Arizona. We specialize in a variety of plumbing services, including faucet repair and replacement, toilet repair and replacement, water heater repair and replacement, backflow prevention, water treatments, gas lines, slab leak locating and repair, restoration and flood cleanup, and more. With three convenient plumbing company locations in West Valley, Central Valley, and East Valley, our team is always ready and willing to help you with anything you need. Contact our team today for your free estimate.